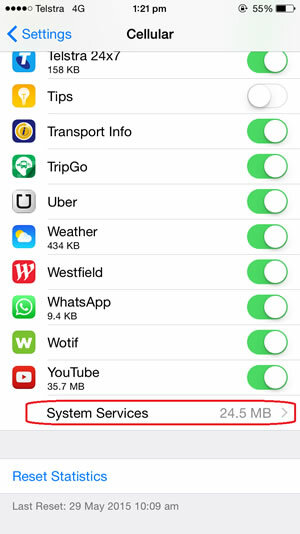 How do I check my mobile data allowance? 3. Scroll to see your history, call time and total mobile data usage over the current period. 4. 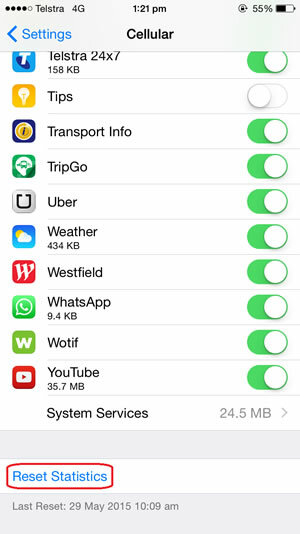 Scroll further to see a list of apps that have used mobile data in the current period. 5. Scroll further to find System Services. 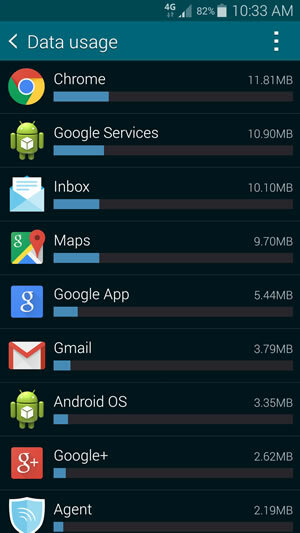 Select to see how much mobile data your apps are using. 6. Select Reset Statistics at the bottom of this screen to reset the usage meter. It’s good to set yourself a reminder monthly to match your Telstra billing cycle. 2. 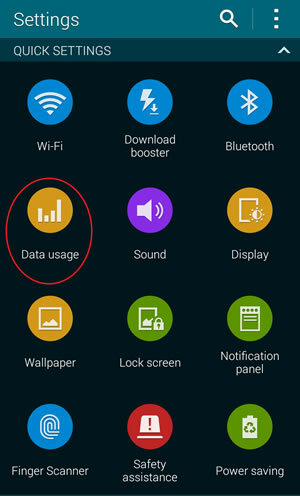 You’ll see your data usage over the current cycle. 3. 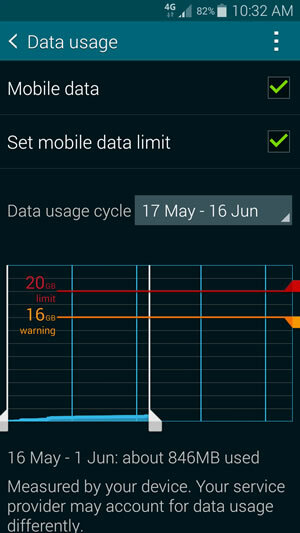 It’s good to set your data usage cycle to match your Telstra billing cycle. Find it on your bill. 4. Scroll to see a list of apps and the data they’ve used during the current cycle. 5. 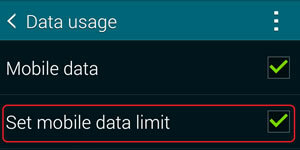 You can also Set mobile data limit here. When you reach the limit, your phone will disconnect from the internet on your mobile data plan. 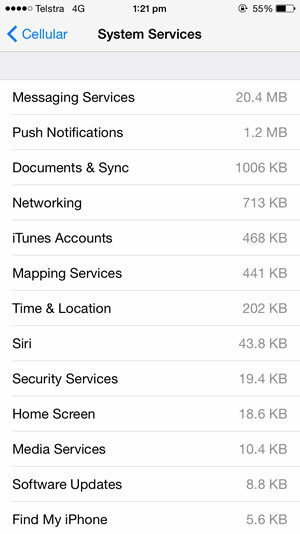 This data usage tool estimates usage based on calculations made by your device. 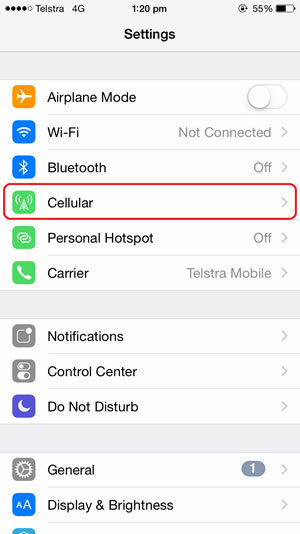 The estimate will differ from your actual data usage on the Telstra Mobile Network, as measured and billed by us. 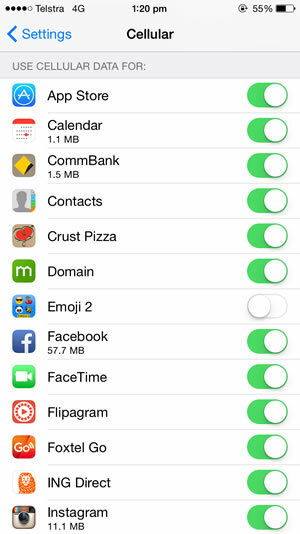 The Telstra 24x7 app or My Data Usage Meter is the best way to keep track of your data usage.